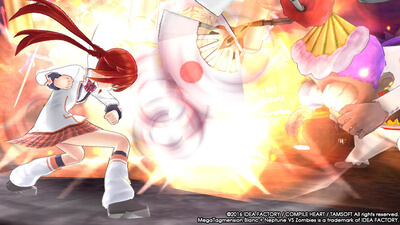 Fight off zombie hordes with friends in the first multiplayer game in the Neptunia series, MegaTagmension Blanc + Neptune VS Zombies for the PlayStation Vita system. 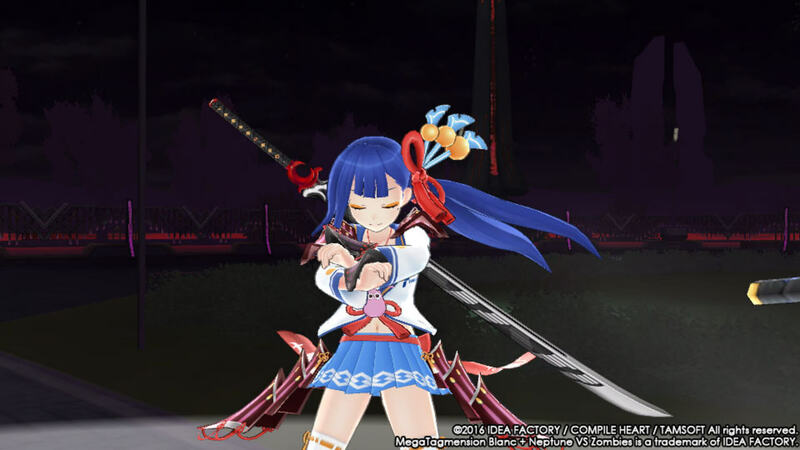 It is a sequel to the high intensity hack 'n slash action game Neptunia U. 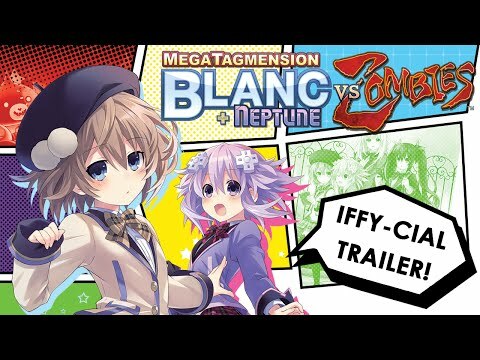 Set in Gamicademi, Gamindustri's academy for CPUs and CPU candidates, Blanc and friends must film a movie to save their school, fend off zombies, and look cute at the same time. Play with up to three friends in the multiplayer mode or, with two support characters to boost statuses in battle, tag team with another character, including new characters, Tamsoft and Uzume Tennouboshi, and familiar faces, Plutia, Peashy, Dengekiko, and Famitsu, to Nep up some zombies. Additionally, you can stylize characters with accessories like glasses, eye patches, and masks to make sure you look extra cute while slaying zombies.